The tickets for The Vulcan and Cold War Experience 2019 have SOLD OUT. Watch this space for more dates coming soon. 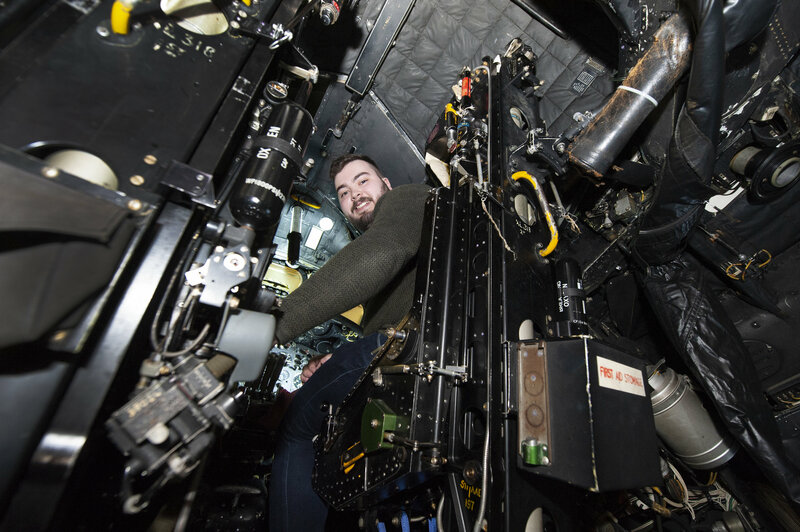 Ticket holders will have the chance to explore two of the Cold War’s most iconic aircraft; the Avro Vulcan B.2. and the McDonnell Douglas Phantom FGR.2, which between them tell a story of uncertainty and tension that loomed over the world for decades. You will gain special access to both these mighty warriors, and allow you to climb in to and take a seat in the cockpit of the Vulcan and the pilot’s seat of the Phantom. This is a rare opportunity to experience what it was like to fly these great aircraft. Ticket holders will also be given a full ground tour, with the chance to get up and close to other significant Cold War aircraft, including the BAC Lightning F.6, the Handley Page Victor K2, and the English Electric Canberra PR3, and hear fascinating real-life stories of the people who flew the aircraft. Please arrive at the Museum fifteen minutes before your chosen time, you can pick up your information pack at the H1 shop before making your way over to the Vulcan, located in the far corner of Hangar 5. Our team of Aircraft Access Volunteers will take you through your experience. Each session will last between 45 minutes and an hour. Please ensure you have read our Access Terms and Conditions below before booking. For the Vulcan you must be physically fit to climb two ladders, pulling your body weight up them. There is a narrow gap between the pilots seat which some visitors may not be able to access. The Phantom requires you to climb a number of steps and to climb over the side of the aircraft; you must be able to support your own body weight when climbing in and out. You must be over the age of 16 to purchase a ticket and access the cockpits. Please wear trousers or shorts. Skirts and dresses may prevent or restrict access. Please wear flat shoes with a good grip on them. Please note, we cannot allow the public access without appropriate footwear. You may take pictures once inside the cockpits – please come with a camera that can be zipped into a pocket or a camera with a strap. If your Aircraft Access Volunteer feels it is not safe or possible for you to access the cockpits of either the Phantom or the Vulcan then we reserve the right to refuse access. Please arrive for your access slot on time, if you are running late and miss your booked time then the Museum reserves the right to refuse access. Each experience ticket, and subsequent session booked, is only valid for one person. If you wish to book more than one ticket we would recommend booking two consecutive sessions. By purchasing a ticket for Vulcan and Cold War Experience you are agreeing to adhere to the Museum's terms and conditions as above. For more information about the Vulcan and Cold War Experience or if you have any questions please email us at whatson@rafmuseum.org.